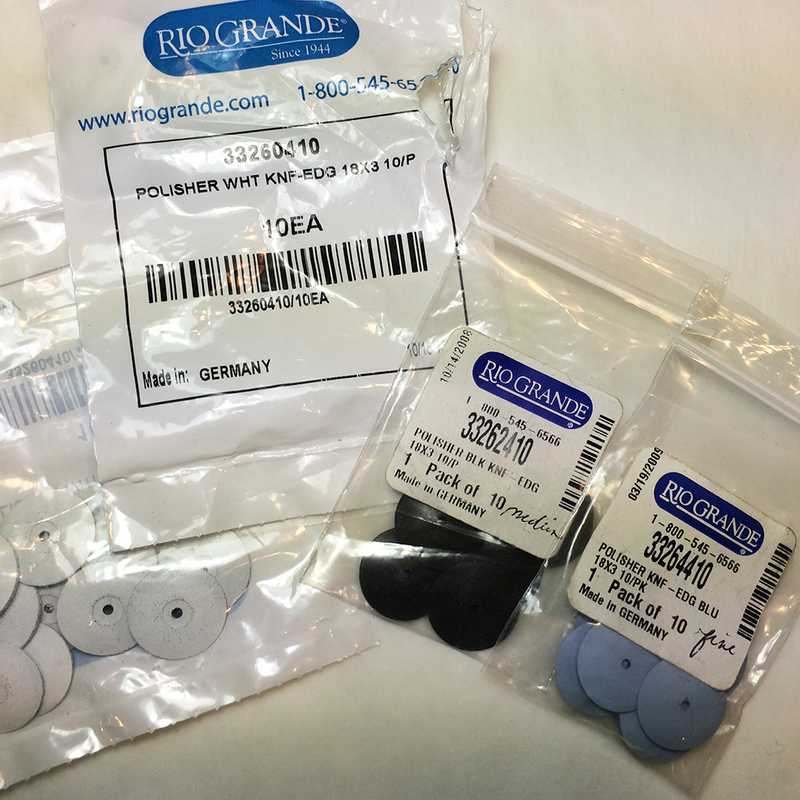 AdvantEdge silicone polishers are very useful flex shaft accessories that save time at the bench. They come in four grits: white=course, black=medium, blue=fine, pink=very fine. I use the white most often in place of a hand file (#4 swiss cut). It makes short work of removing scratches left by 220 grit sand paper or a course file. There are several shapes, although I use the knife edge exclusively. The sharp edge wears down quickly, so if you want to get into a crevice, use a new polisher. 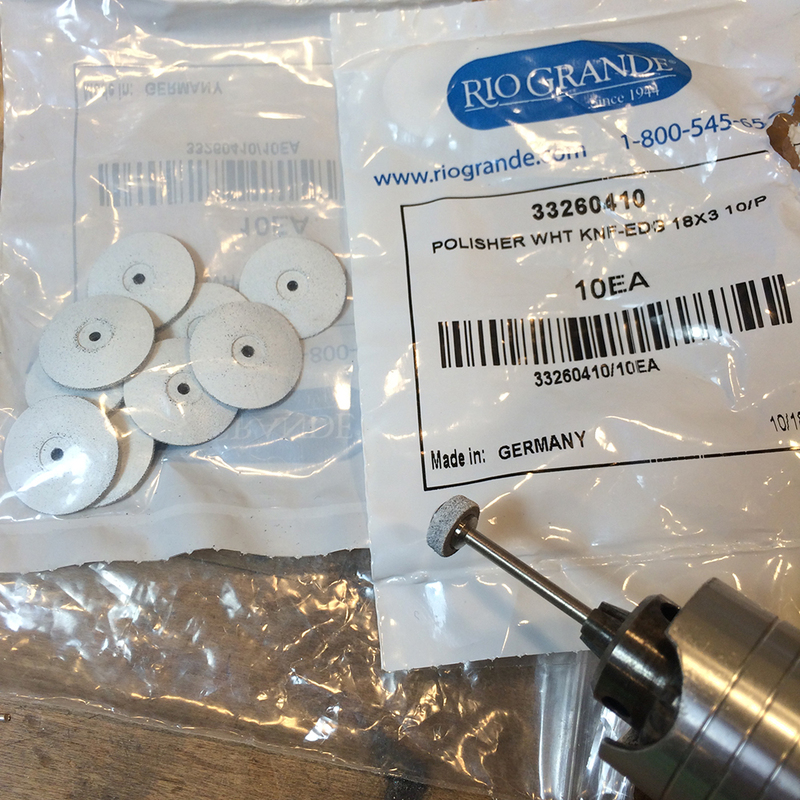 These polishers are available at Riogrande.com and are recommended for precious metals. • Recommended speed is 1,000–5,000rpm with very light pressure for best results. 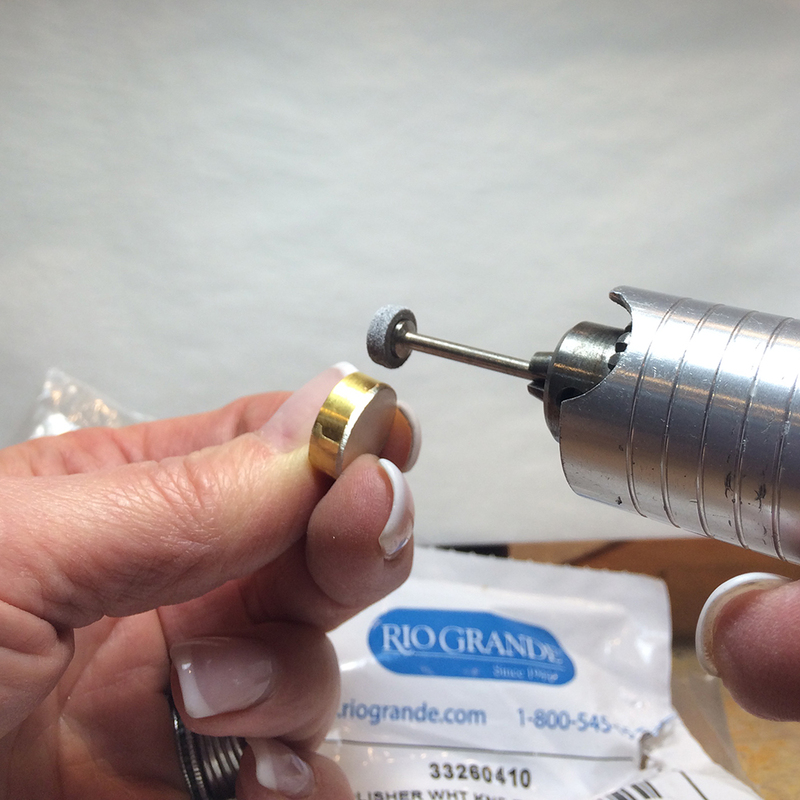 • Use the screw mandrels that fit 1/16 inch center hole. Posted in Uncategorized and tagged filing, flex shaft tool, Metalsmithing, polishing, sanding. Bookmark the permalink.